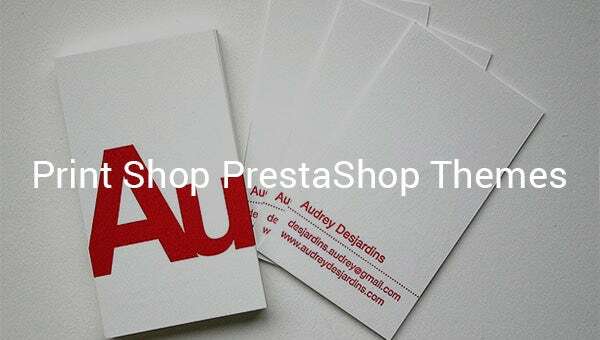 To make a lasting impression, use the beautiful templates easily available for download for the Free PrestaShop Themes for Print Shop. Thanks to the latest version of HTML and CSS coding, these themes have all the classic features packed with the new ones. Select from the wide range of free templates available to make the shopping and browsing experience invaluable for the customers. 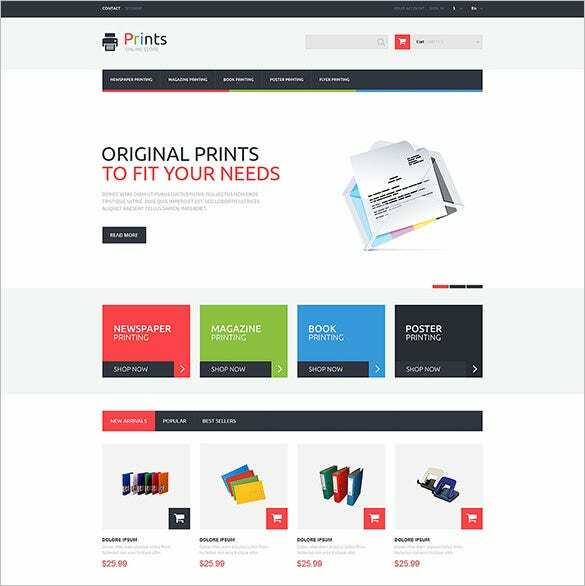 This Printing Solutions PrestaShop Theme is all about its features. It has drop down menu, Goggle web fonts, HTML files, multi-layout for home page, bootstrap as well as cross-browser compatibility supporting access from all major browsers. 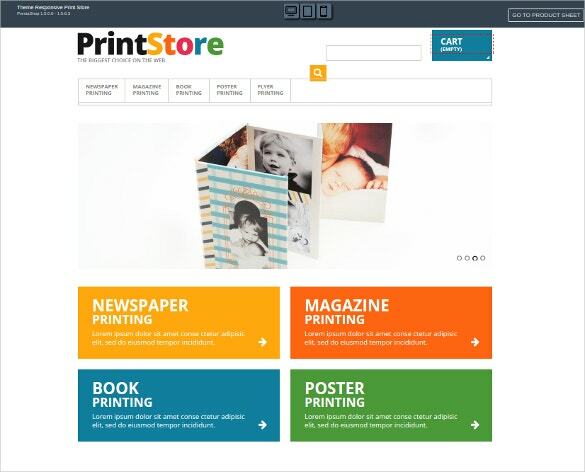 This Harmonious Print Store PrestaShop Theme is a cream of the crop option for your online outlet. It offers grid/list view, retina-ready icon fonts, social options for sharing and sample content. New owner of an online outlet? 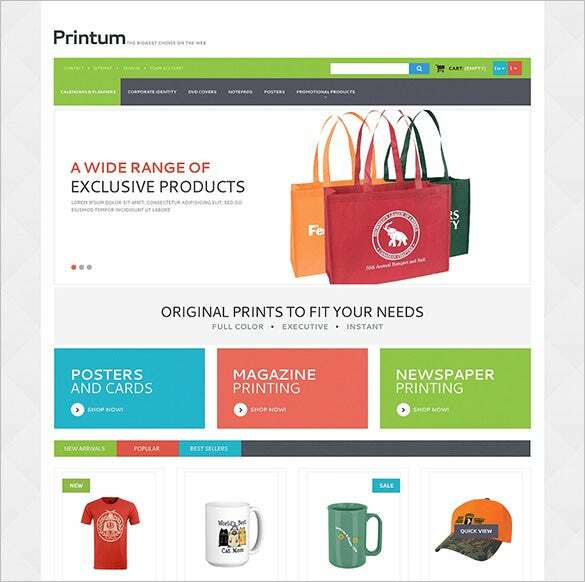 Look no more, this Print Store PrestaShop Theme has will fulfil your need. It has sliced PSD, tooltips, back to top button and is supported by bootstrap. 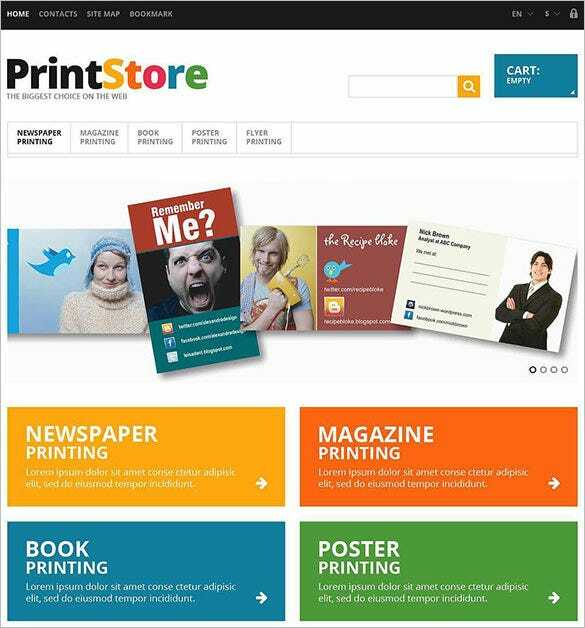 With PrestaShop extensions like Social Icons and Tag Cloud this Responsive Print Store PrestaShop Theme is all set to please your customers. it also has commenting system, drop down menu and drop down cart as added features. You can welcome the visitors from anywhere at any time as the PrestaShop Themes support the latest browsers and can also be formed as a mobile-optimized site. 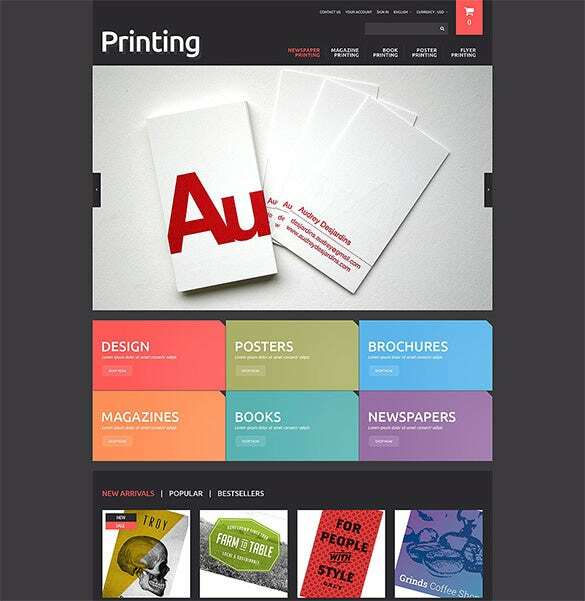 You can change the generic templates with the customisable features depending on the need of the website.